“It is using the ground to effectively get free energy for heating and cooling,” says Dr Guillermo Narsilio from the Melbourne School of Engineering at the University Melbourne, who has been leading the project. 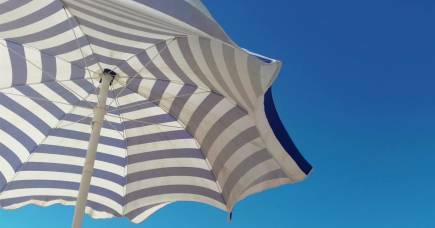 In summer, the underground temperature will almost always be lower than the air temperature, and almost always higher than the air temperature in winter. By pumping water for air conditioning systems through the ground, the water temperature can be changed by a few degrees up or down. That is enough to realise potentially significant power savings with the help of ground source heat pumps. For example, a conventional heater will generate almost 1 kilowatt of thermal energy for each kW of electric power, and a reverse cycle air-conditioning system can generate between 2 and 3 kW per kW of power. But with geothermal, the efficiency can easily rise to 4-5 kWs per kW of power. In Melbourne, the underground temperature is consistently around 18-19 degrees Celsius, but on a hot summer day temperatures will reach about 30. In such conditions a geothermal system can cool the water by passing it underground in loops of piping to naturally reject the heat into the earth, before feeding the cooler water into a ground source heat pump to generate air conditioning. 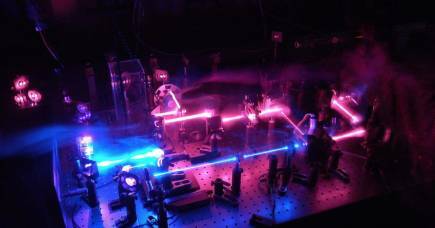 It means less energy power is needed to run the conditioning system. In winter it just works in reverse. Such geothermal energy is often called ‘earth energy’, or ‘geoexchange’, to distinguish it from geothermal power generated from hot rocks and steam deep below the earth’s surface. 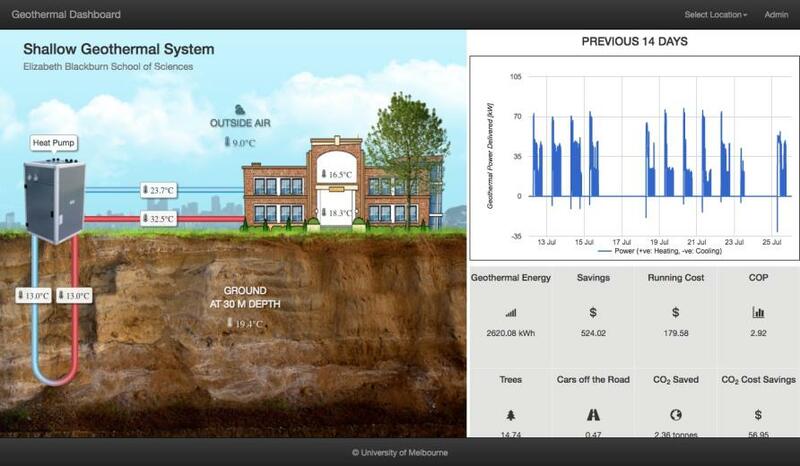 Dr Narsilio is confident that a geothermal system, embedded in the retaining walls of the Melbourne Metro stations, could efficiently provide all their heating requirements and half of their cooling requirements. The University’s geothermal team of engineers is the only group in Australia that has the technological, fieldwork, and laboratory expertise to undertake computer modelling of geothermal projects using non-traditional ground heat exchangers. Under the Translating Research at Melbourne program they have established a start up named Fourth Element Energy to explore commercialising their geothermal modelling software. 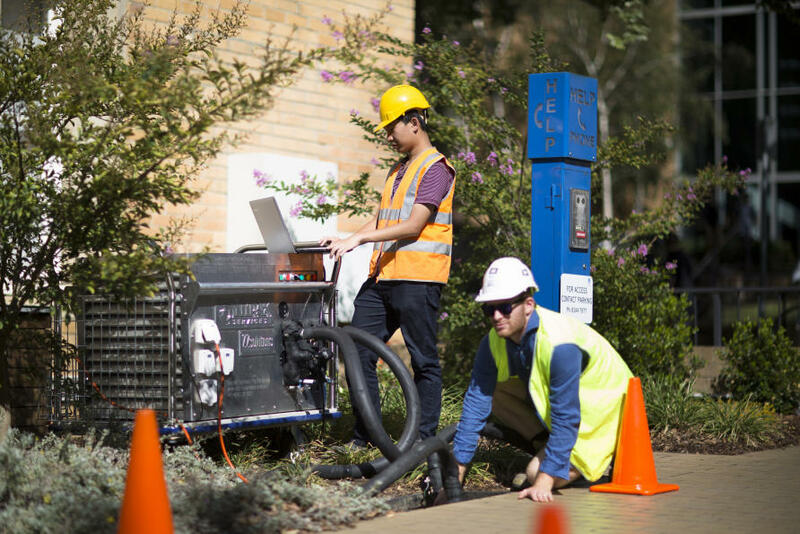 Under the leadership of Dr Narsilio and geotechnical engineer Professor Ian Johnston, the team has already installed over 20 pilot geothermal systems across Victoria, from homes to cafes, that have been funded by a $1.6 million grant from the Victorian Government and $1 million grant from the Federal Government. One of their biggest projects to date is the new Elizabeth Blackburn School of Sciences in Parkville, which the researchers are using as an ongoing experiment to test the limits of geothermal power. A real-time web page constantly monitors the performance at the school, including the energy savings, dollar savings and greenhouse gas reductions. In addition, together with industry partners Ground Source Systems and Golder Associates and Associate Professor Lu Aye, the team is finalising details to install and monitor geothermal systems in poultry farms in NSW and Victoria as part of a $300,000 grant from the Australian Research Council. Dr Narsilio says the geothermal opportunity for building owners extends to even on-selling their excess geothermal power, and such on-selling is important in keeping geothermal systems in balance between hot and cold. That is because geothermal systems are most cost-effective and efficient when the demands for heating and cooling balance each other out over summer and winter. If the cooling requirement of a building is higher than the heating needs, then excess heat will gradually raise the temperature of the ground, making it less efficient. In such situations Dr Narsilio says efficiency can be enhanced if the excess heat is on-sold during the winter months to other buildings that may need it. 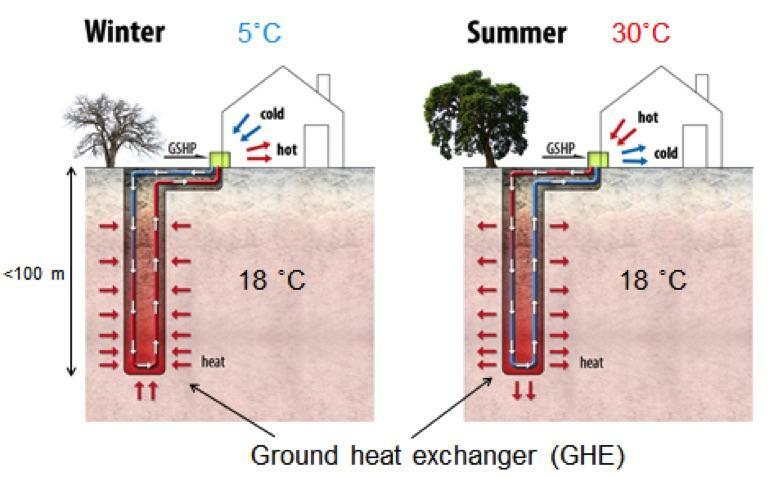 “In summer geothermal systems reject heat from inside buildings and into the ground, so the ground will heat up. That is usually fine because in winter we can extract it again. But when the system is rejecting a lot more heat than it is extracting in winter it reduces efficiency. So if a project can on-sell excess heat it can be better balanced and more efficient,” he explains. The University of Melbourne is proposing to take excess heat from the Metro Tunnel’s Parkville station into its campus in the form of piped water heated to 20-40 degrees Celsius. The excess heat would be equivalent to 120 kW for between 4 and 8 months every year. Geothermal power is one of the fastest growing sustainable energy technologies with over four million installations across the world. In the US and elsewhere it has benefitted from government subsidies, and in Sweden 90 per cent of the building renovation and modernisation segment includes geothermal systems. But in Australia, Dr Narsilio says the small scale of the industry means the capital costs can be prohibitive. For example, there are only a few geothermal drilling companies and that lack of competition keeps costs high. “The main barrier is the high capital cost, and that is because in a market like Australia’s the drilling cost is more expensive than it could be,” says Dr Narsilio. But in new projects like the Metro Tunnel Project, where significant drilling has to happen anyway, he says the cost of installing thermal systems is much cheaper. At current costs, retrofitting geothermal is competitive with high-cost power sources such as bottled gas in country areas, but the capital costs mean it is often uncompetitive against traditional electricity and gas power. However, based on the results from the University’s 20 projects so far, Dr Narsilio estimates that a government subsidy or rebate of just 8 per cent would be enough to make geothermal competitive with traditional power sources. 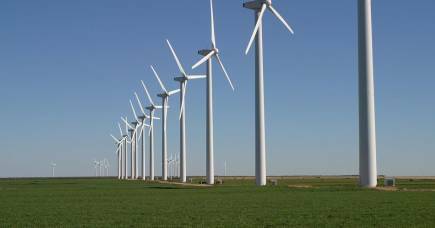 That could then encourage the industry to grow and become more competitive in its own right. Such rebates have been applied in other countries. In Canada power companies have even seen value in making low-interest loans for customers to install geothermal systems. While it may seem counter-intuitive for a utility to be encouraging geothermal energy that will use less peak power, Dr Narsilio says that by reducing power consumption growth, utilities can forestall having to invest in new expensive power stations. “We have established ourselves as one of the leaders in the country for geothermal heating and cooling because we believe the industry has a good future here,” says Dr Narsilio. Team leaders also include research fellow Dr Asal Bidarmaghz and senior lecturer Dr Mahdi Miri Disfani, both at the Department of Infrastructure Engineering, University of Melbourne.